This really is my kind of starter. It honestly doesn’t get a great deal tastier or easier than this. With a very sharp, small vegetable knife, carefully make a slit in the top of each date. Open the slit up with the point of the blade, and then gently lever the pit out of the date. 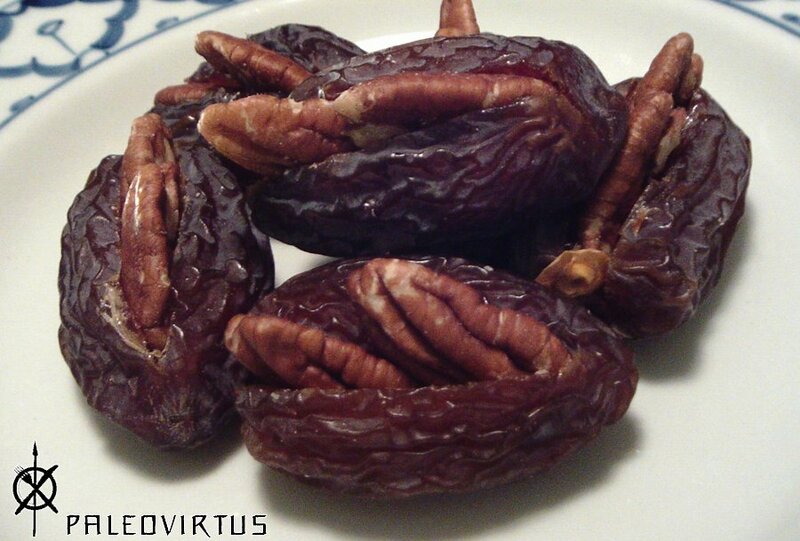 Insert 2 Pecan nut halves into each date. Serve, using all the self-restraint at your disposal to avoid eating every single one of them. This entry was posted in Food Diary, Recipes and tagged date, Medjool, nut, paleo, Pecan, recipe, starter on October 20, 2014 by paleovirtus.